10 Things You Might Not Know About JURASSIC PARK | Warped Factor - Words in the Key of Geek. Geek Dave spares no expense to bring you 10 things you might not know about the original Jurassic Park. 2. 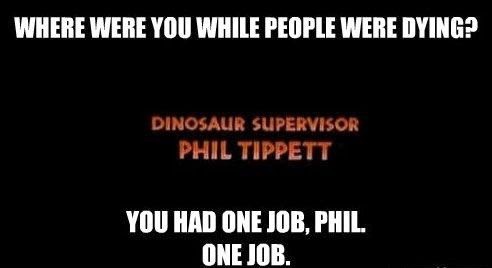 Jurassic Park could've had some very different, yet familiar faces in the starring roles. 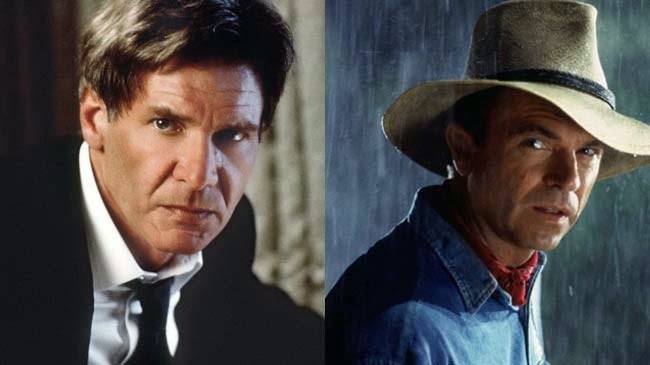 Both Harrison Ford and William Hurt turned down the role of Dr. Alan Grant (Sam Neill). Sandra Bullock, Gwyneth Paltrow, Julianne Moore, Robin Wright-Penn, Sherilyn Fenn, Helen Hunt, Teri Hatcher, Elizabeth Hurley and Gwyneth Paltrow were all considered for the role of Dr. Ellie Sattler (Laura Dern). Jim Carrey auditioned for the part of Ian Malcolm, and according to the casting director, Janet Hirshenson, he did a terrific job, but Jeff Goldblum was always first choice. Same goes for Richard Attenborough and John Hammond - Spielberg convinced Lord Attenborough to come out of a 14 year acting retirement for Jurassic Park, however if he had declined the role then Sean Connery was next on the director's very short list. 3. During production of the movie Hurricane Iniki ravaged the Hawaiian island of Kaua'i, which was doubling for Jurassic Park. All the cast and crew were evacuated to safety, except for Richard Attenborough who simply stayed in his hotel room and slept through the whole storm. When Lord Attenborough told Steven Spielberg he hadn't heard a thing, Spielberg was amazed, 'Dickie' simply responded "Dear boy, I survived the blitz!" Incidentally, the helicopter pilot that flew Spielberg and many of the other crew off Kaua'i away from Hurricane Iniki was a man called Fred Sorenson. Sorenson had a very brief movie career some years earlier, his single credited role was that of Jock, the seaplane pilot who rescues Indiana Jones at the beginning of Steven Spielberg's Raiders Of The Lost Ark. 6. When it came to creating the sound of the dinosaurs a combination of non-extinct animals were mixed together to produce the desired effect. For the roars of the tyrannosaurus' the sounds of a dog, penguin, tiger, alligator and elephant were combined, the dilophosaurus was given a voice made up of howler monkeys, hawks, swans and rattlesnakes, and the velociraptor squeal was created by mixing walrus grunts and dolphin squeaks. "We'd be, like, eating lunch, and all of a sudden a T-Rex would come alive. At first we didn't know what was happening, and then we realized it was the rain. You'd hear people start screaming." 10. 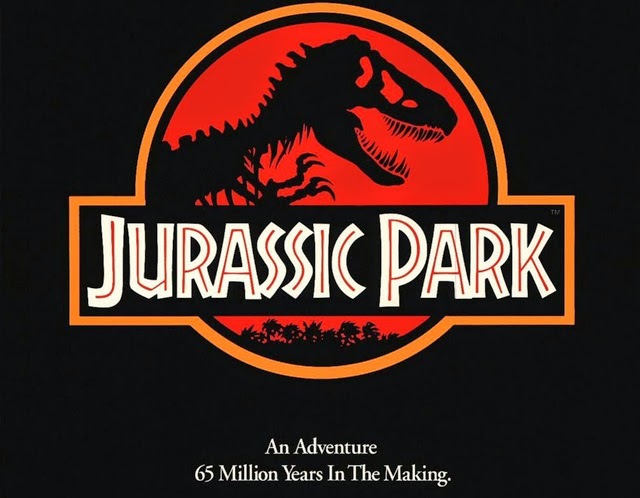 Did you know that Jurassic Park is partly responsible for The Phantom Menace? After principle photography was completed, Spielberg found that post-production was taking longer than expected, so he handed over control to his good friend George Lucas, allowing Spielberg to fly to Europe and begin work on Schindler's List. Lucas was so impressed with the effects that ILM had produced he realised that the CGI was now at a level where he could bring his vision for Star Wars back to the screen. As soon as his commitment to Jurassic Park was completed he set about on the Special Editions of the original trilogy, and began planning Star Wars: Episode 1 - The Phantom Menace. So if you have a problem with Han shooting first or Jar Jar Binks, take it up with Steven Spielberg!